This is really tempting..... I really wish I knew when the Dell Venue was going to be available! 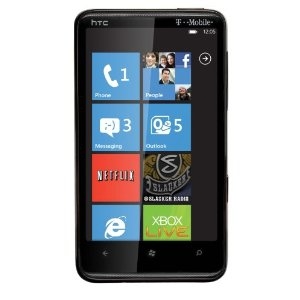 Also waiting for the Dell, it would have to be cancelled before I buy another HTC device. Well, while for me it is not an option, I only buy SIM free phones, at least it comes with 16GB of memory and not just 8GB as previously announced. I could be wrong but I think that within 6 months HTC will come out with a new model probably using removable storage. Initially MS stated that removable storage would not been allowed at all. Now seems that things are a little bit more relaxed it might be that HTC, which was one of the first onboard with the new OS, already had the HD7 production locked down as it is right now.